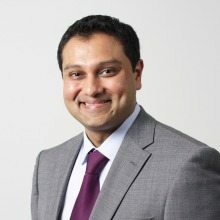 Mehul Sanghani, Octo Consulting Group, Inc. Under the multiyear contract, Octo will be responsible for sustaining modernizing the Air Force Financial Systems Operations software sysems, which include eFinance, FMSuite and the leave-request system, LeaveWeb. Octo will help optimize the eFinance and FMSuite systems as part of an effort to automate the two systems. A core component of the planned effort is the migration of the LeaveWeb application to the AWS cloud. This migration will increase the resilience, scalability and availability of the LeaveWeb application, the company said.